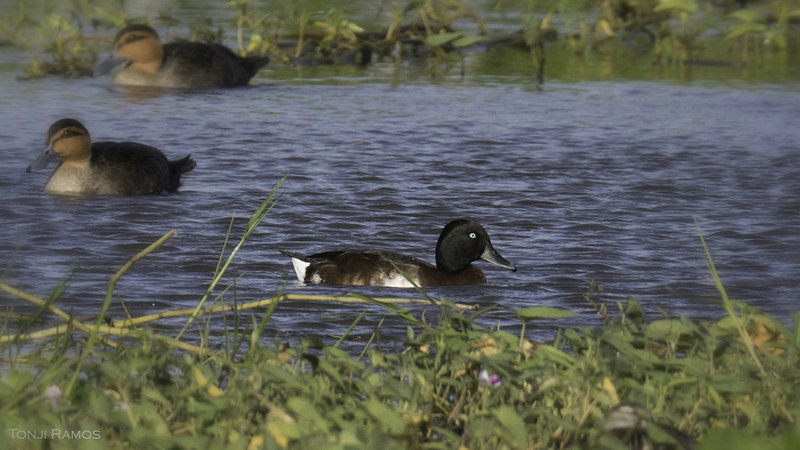 A lone male Baer’s Pochard – Ahthya baeri – has been spotted in a freshwater pond in Pampanga. There are only about 700 specimens in existence in the world. The two other ducks seen in the photo above are common Philippine Ducks. The duck is classified as Critically Endangered. Experts believe destruction of wetlands has a large part in the animal’ss decline, others argue that hunting is a problem as numerous people have been caught killing the animal and then trying to have it mounted for taxidermy. Only three other times has this rare animal been seen in the Philippines – all in wetland regions – in March 1979 in Candaba; November 1999 in Ninoy Aquino Parks and Wildlife Lagoon in Quezon City; and February 2003 in Bislig, Surigao del Sur.